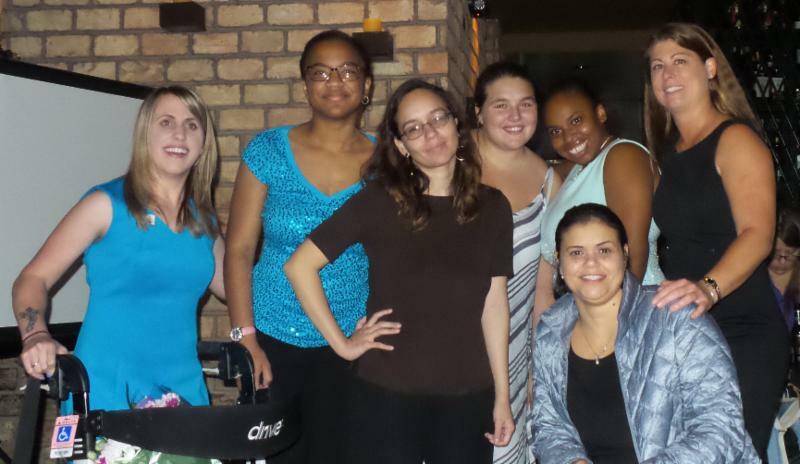 Leadership CILB is a special leadership opportunity for individuals with disabilities in Broward County with the objective to create ambassadors and advocates within our disability community. The program is in its sixth year and is hosted by the Center for Independent Living of Broward and facilitated by Leadership CILB Program Director, Jene Kapela. Participants learned how the Center for Independent Living of Broward assists people with disabilities in advocating for themselves. The group started the Able Voices Project in February because "we believe every person has value, regardless of ability, and every voice matters." The objective of the project was to be an online resource to support, educate, and connect people with disabilities in Broward County. You can see a video about the project by clicking on this link. You can also find more information about the program by going to the Leadership CILB Facebook page. The program's graduation ceremony saw over 30 people attend including alumni, friends, family and staff from the Center for Independent Living of Broward. Congratulations to all the graduates! The Center for Independent Living of Broward wishes to thank our corporate sponsor, Royal Caribbean Cruises LTD as well as YOLO for hosting the graduation ceremony. CILB is a member of the National Council on Independent Living (NCIL) "Not just responding to change, but leading it!" 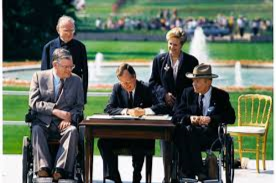 George Bush signed the Americans with Disabilities Act in July 1990. But, what has happened to disability legislation since then? House Bill 1107 (Disabled Parking Permits) - A bill requiring disabled parking permits to display the applicant's driver license and provides penalties for certain unlawful uses. According to the Bill History, this bill "died" in the Transportation and Infrastructure Subcommittee on March 10. Senate Bill 242 (Developmental Disabilities) - A bill revising the term developmental disability" to include the disability and symptoms attributable to Duchenne muscular dystrophy, etc. According to the Bill History, this bill "died" in "Banking and Insurance" on March 10. Senate Bill 260 (Students with Disabilities in Public Schools) - Amends provisions relating to the seclusion and restraint of students with disabilities; Revises restraint policy; Requires continuing education and in-service training for teaching students with emotional or behavioral disabilities. On March 7, it was "laid on table", which (according to uslegal.com) refers to a motion to suspend consideration of a pending motion. It refers to a motion in regards to another motion being actively debated, but intended to defer a final disposition of the pending motion. While many of us dream of playing in the National Football League, the stigma of people with disabilities having little chance to play was nullified this year thanks to the Seattle Seahawks. 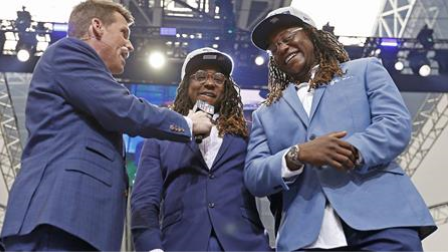 With the fourth pick in the fifth round (141st overall), the team selected Shaquem Griffin to be on the team. Griffin - who is well known for his abilities on the field as a linebacker for the University of Central Florida - was born with amniotic band syndrome, which caused the fingers on his left hand to not fully develop, and he eventually had it amputated. However, that never stopped him from living a full life on and off the field, and he will continue to do so with his brother Shaquill who was drafted last year by the same team. Shaquem's ability to be drafted by the NFL should remind all of us to never give up on our goals and that anything is possible. Many residents of our area use Medicaid and other healthcare insurance services for their healthcare needs. However, according to the Jacksonville Business Journal, possible changes are coming. Several health plan companies have told Florida officials that they are challenging certain Medicaid contracts, and those challenges could cause problems for Florida's Agency for Healthcare Administration. The goal is to transition to new five-year contracts by 2019 in order to serve the people who use the program of which 85 percent are enrolled in managed-care plans. According to the article, "The Agency for Health Care Administration has gone through a lengthy process of awarding contracts in 11 regions of the state, with contracts going to varying numbers of plans in the regions. Several health plans filed protests for all 11 regions, while others filed protests for specific parts of the state." 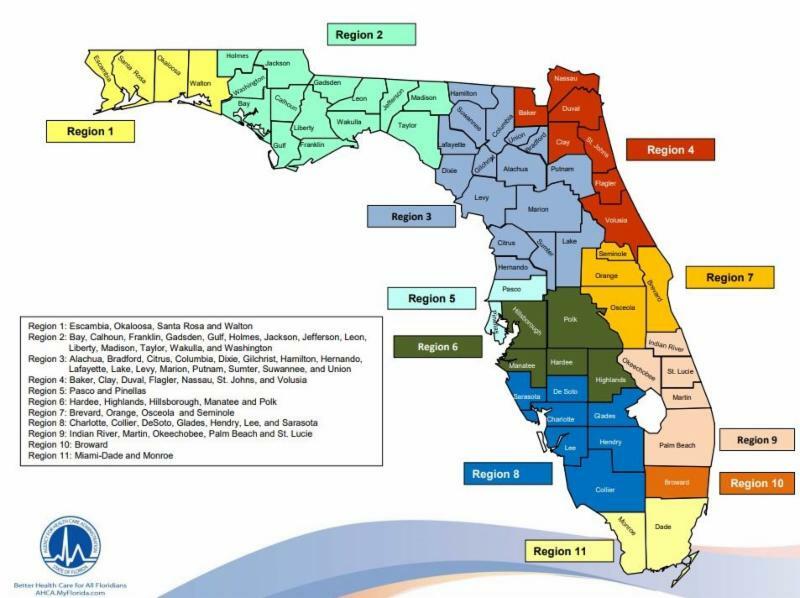 Broward County is in Region 10. According to the AHCA, you can call this region at their Delray office (which also covers Region 9) at 561-381-5840. The Center for Independent Living of Broward has several Information and Referral services that can help answer many of the questions you may have. For more information on how you can reach your goals, contact us at 954-722-6400 / TTY (954) 735-0963. 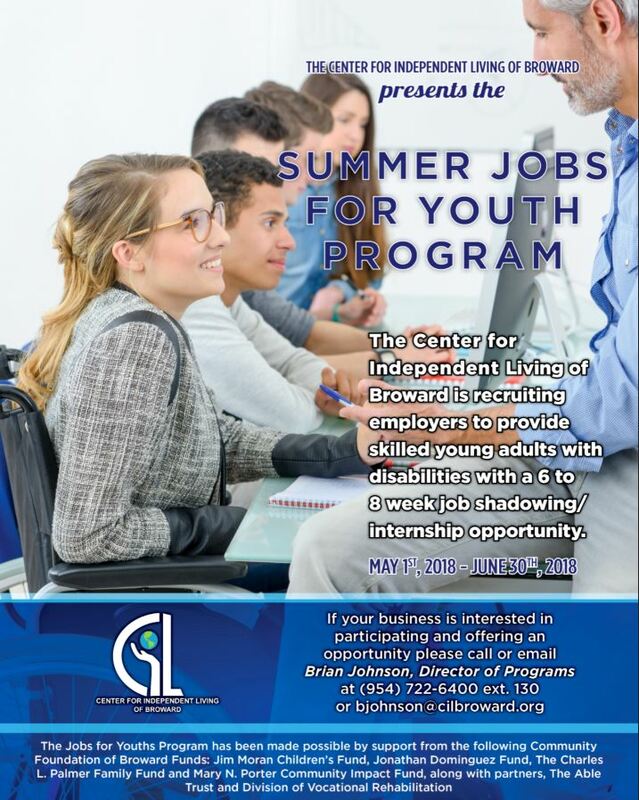 The Center for Independent Living of Broward is launching a program during the summer to teach local youth about the workforce. This six to eight week program will teach 14 - 21-year-olds in the community about what it takes to obtain and retain a job. The CILB intends to introduce up to 60 youth with disabilities to the workforce during the "Jobs For Youth" program. Through the Business Advisory Council and the assistance of the Youth Services Coordinators, they will participate in mock interviewing and independent living skills to prepare them for a 6-8 week paid internship. The goal is to increase work-based learning experiences by strengthening links between the business community, nonprofits, schools and post-secondary institutions to match these youth to opportunities so they can learn, and apply soft-skills. For more information, call Director of Programs Brian Johnson at 954-722-6400, ext. 130 or email him at bjohnson@cilbroward.org. The staff at the Center for Independent Living of Broward wants to remind you that, thanks to the Americans with Disabilities Act of 1990, you have the right to certain accommodations in the workplace, colleges, and public settings. If you look at the "Advocacy" section of our website, you will see that "the CILB provides advocacy for people with disabilities before public and private agencies, local, state, and national public officials; and other community based organizations." 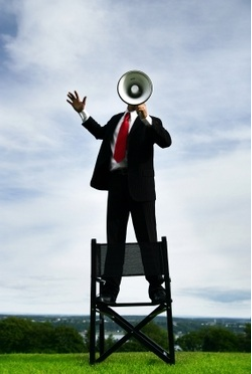 We also encourage consumers to become self-advocates, which is critical to becoming independent. Our staff can teach you how to do that through our Leadership Program.